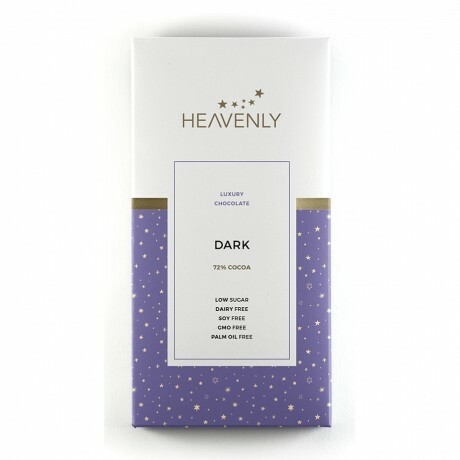 Enjoy a fine selection of luxury free-from dark & milk chocolate alternative bars from Heavenly Chocolate's delicious artisan range. Each chocolate bar is delicious and decadently creamy, yet free from dairy, gluten and less than 4% sugar. 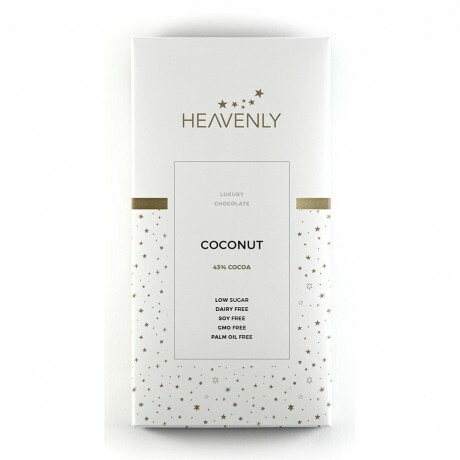 Pure Heavenly Chocolate's unique recipe is 100% Vegan, Plant-based, and totally free from Gluten, Wheat, Soy, and GMO ingredients. All are 'milk' chocolate apart from the two Dark bars. 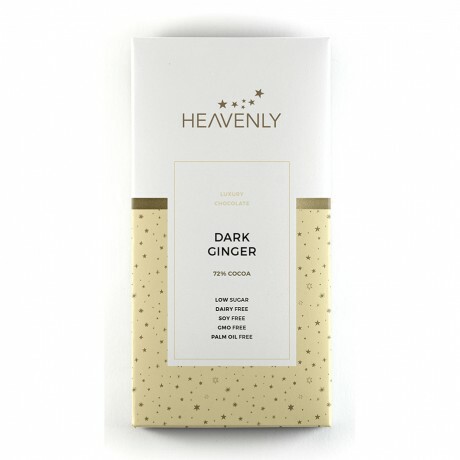 For the 'milk' bars, organic rice cream is used to give the same look, feel and taste of milk chocolate, making them an amazing alternative to milk chocolate. 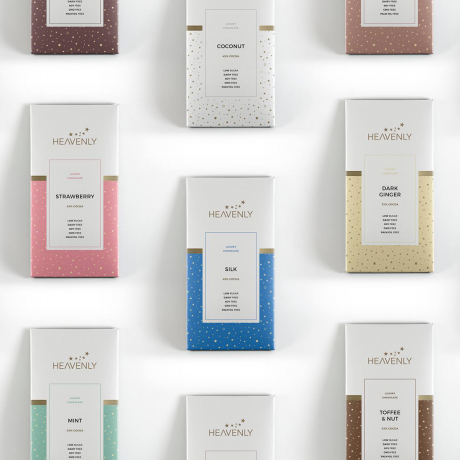 Each chocolate bar has a very low sugar content, at just 4% or less. This is compared to up to 55% in some other chocolate brands! Heavenly Chocolate's bars are refined sugar free, instead they use a special combination of plant-based sweeteners such as stevia, erythritol, and a small amount of fruit sugar. Erythritol is a sweetener which has been praised as the ‘new best friend’ of dentists, as it is thought to help reduce dental cavities. Plus the chocolate contains prebiotic ingredients to contribute to a healthy gut (inulin and isomalt). 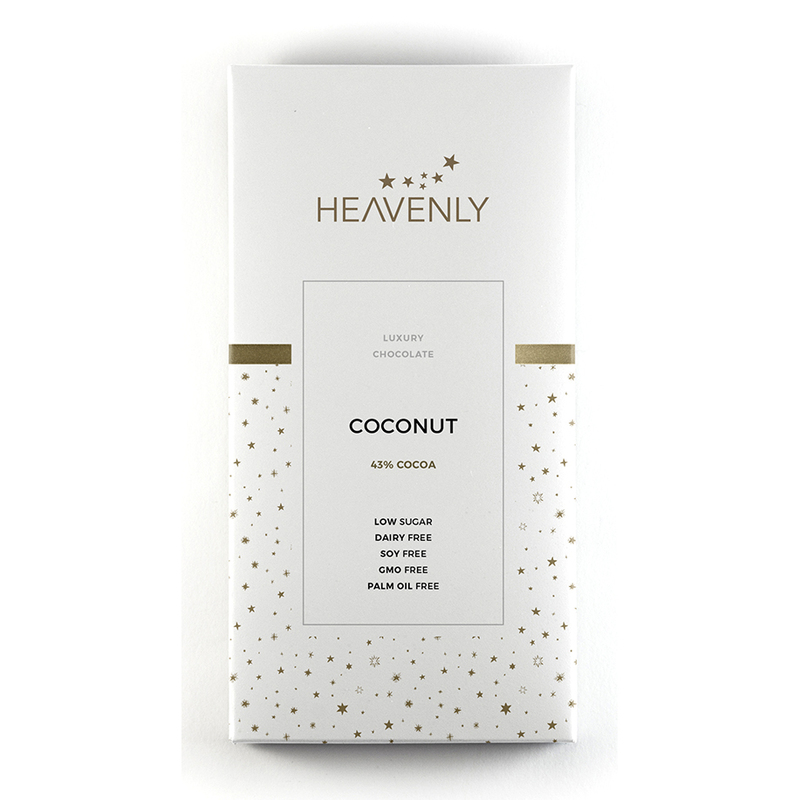 Their chocolate is also palm oil free, to be better for the environment. Heavenly Chocolate are a small family business and lovingly handcraft all of their chocolate bars in small batches. 6 x 80g chocolate bars. Some bars contain nuts - please see individual listings. Produced in a facility where nuts are used. Bought for my granddaughter who is milk intolerant. Bought for my granddaughter who is milk intolerant. Arrived on time and in good order. These were lovely. The almond,mint and coconut were my favourite, my husband liked the orange. I thought the taster pack a good idea. Also the fact that the bars are easily marked in squares are great if you are on a controlled diet. I am an triathlete, and sugar filled chocolate does not help with my training. I am much better on a high fat, low sugar diet, so this has saved my life. I absolutely love it. Orange is my favourite but I always pack Mint as well. I bought this for myself but have since found that my kids love this brand so much. I am very happy to be giving them this than the other junk food out there. The great thing is that they have no idea that it is dairy free and practically sugar free.